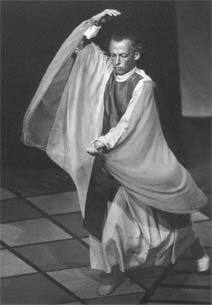 Mark studied with the European master Else Klink, receiving a diploma to both teach and perform Eurythmy. 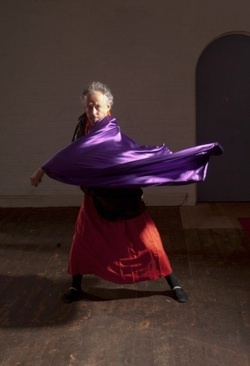 After graduation, he formed the Wander-Light Eurythmy Company in 1991, performing over 450 shows throughout Australia, and overseas. While continuing to perform, he is also training others. "About fifteen years ago I saw the elderly Else Klink when she brought her Stuttgart Eurythmeum to the southern regions of her birth. In Sydney they played to a packed house. When I saw the Wander-Light Eurythmy Company perform I immediately noted the link with this other performance I'd seen all those years ago. There was something about both 'shows' that have made them live on for me." 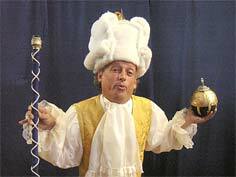 In Eurythmy (Eurythmie, Eurytmi, Eurytmia), the artist and the instrument are one. The archetypes of life are brought into play and develop the cognitive, social and individual abilities of the human being: both the physical and inner lives are strengthened. 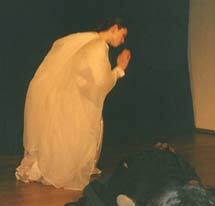 Through doing Eurythmy, the individual is connected more with the creative centre of the world. 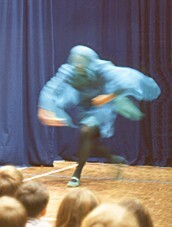 Working with the creative forces of speech and music, Eurythmy is a powerful means of connecting. "A portrait of Richard III"
"KING LEAR, his daughters & the Fool"
"I think I was most taken by the Eurythmy Lear - it fair blew me away. King Lear and his Daughters was electrifying." Heaven make thee free of it. Is strict in his arrest  O, I could tell. The potent poison quite oercrows my spirit. on Fortinbras, he has my dying voice. Which have solicited……the rest is silence. 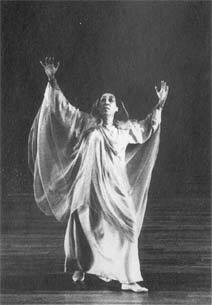 Current project: working on a eurythmy production of T.S. Eliot's FOUR QUARTETS and 'A Portrait of Richard III' followed by international tour thereafter. After twenty years in this field, Mark Neill has started training others. Through ongoing lessons and on the job experience, both Eurythmists and students are guided on the road to professional Eurythmy. Our last four productions (and tours) have included students with no prior experience in the field. Recently, after attending workshops with the Wander-Light Eurythmy Company, Joel Gajewski and Jessica Miller, from Newcastle, joined us on our 2003 Eastern States Tour. 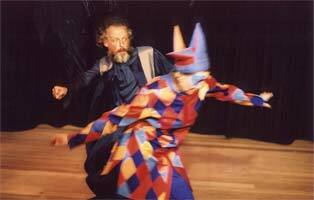 Tim Heath played Jack in Jack & the Beanstalk on our 2004 tour & Tess Scott played Cordelia in our recent production of King Lear at the Montsalvat Shakespeare Festival. Dovlyn Quek took part in our 2007 tour of Eastern Australia. None of these individauls had trained in this art form but all have relished the opportunity to gain hands on professional experience therein. The opportunity exists for others to do the same. 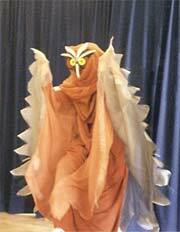 We hold regular courses and workshops. Contact us.